Social Media and Its Impact on Modern Healthcare #Infographic ~ Visualistan '+g+"
Social Media Use Policies for Healthcare Workers Are Still Under Construction. One gray area that health care organizations are still working out is exactly how to use social media for collaboration and better overall patient care without violating HIPAA (Health Insurance Portability and Accountability Act of 1996) or patient confidentiality in any way. Some organizations, such as the National Council of State Boards of Nursing (NCSBN), are issuing their own internal handbooks outlining proper use of social media both at work and for personal use at home and elsewhere. This is a critical issue because it can be so easy to violate patient confidentiality without even realizing that is what you are doing! For example, perhaps a provider and a patient choose to connect on public social media such as Facebook. It then becomes the provider's sole responsibility to refrain from posting anything that could be deemed a violation of the confidential nature of care being provided. Providers have lost jobs and even licensure over such careless breaches of patient confidentiality, which is enough of a concern that some healthcare organizations even limit their employees' access to social media tools while on the job. 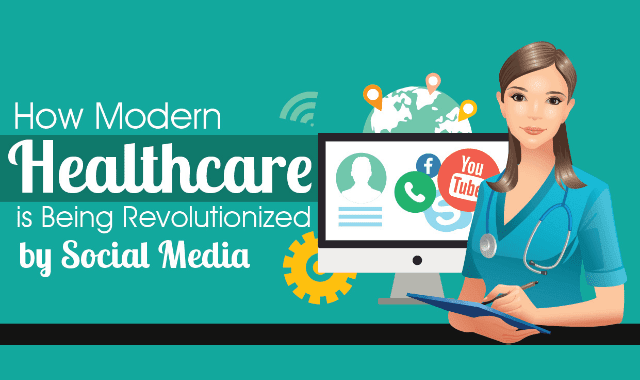 Here is an infographic that shows how social media has helped improve the health indstry.